Modernity has had so many meanings and tries to combine so many contradictory sets of attitudes and values that it has become impossible to use it to define the future. It has ended up crashing like an overloaded computer. Hence the idea is that modernity might need a sort of reset. Not a clean break, not a “tabula rasa,” not another iconoclastic gesture, but rather a restart of the complicated programs that have been accumulated, over the course of history, in what is often called the “modernist project.” This operation has become all the more urgent now that the ecological mutation is forcing us to reorient ourselves toward an experience of the material world for which we don’t seem to have good recording devices. At the heart of the volume is sustained attention to the role of traditional scholarly activities in a world confronting environmental disaster. Some contributors make the case that it is the scholar’s role to provide activists with the necessary knowledge and tools; others argue for more direct engagement and political action. All the contributors confront the overriding question: What is the best use of their individual and combined energies, given the dire environmental reality? A great new book is coming out this year from Yale University Press. Here is the book’s website, a description of the book and a keynote lecture by the author. Christiana Peppard’s new book is now out with Orbis books and available at amazon. 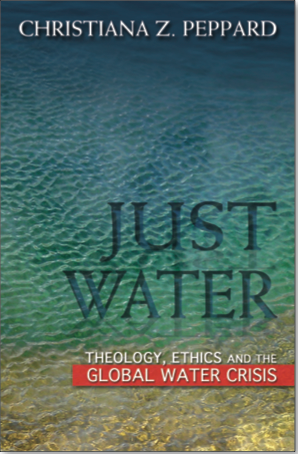 It analyzes the value of fresh water at the intersections of hydrology, ecology, ethics, theology, and Catholic social thought. It is also very readable for the non-expert, which is no small feat given the topics it covers. Do we truly understand the significance of fresh water in an era of economic globalization? Aimed at the educated non-specialist as well as scholars, Just Water explores important aspects of the global fresh water crisis while also providing ethical analysis and principled recommendations about fresh water use and scarcity in the 21st century. Ultimately, Just Water invites us to expand global discourse about the value of fresh water—unique, non-substitutable substance that serves as a baseline for human existence. 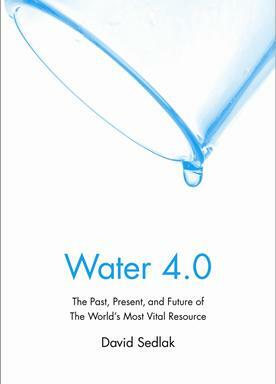 At the same time this book offers tools for understanding and appreciating contemporary ethical problems posed by looming fresh water scarcity in the 21st century.